After a couple of months off from reading, what I call, "real" books - replacing them with my "sit-com," read in one night books - I spent this month reading three different military-based narratives: the first on WWII and the other two on the current war in Afghanistan and Iraq. 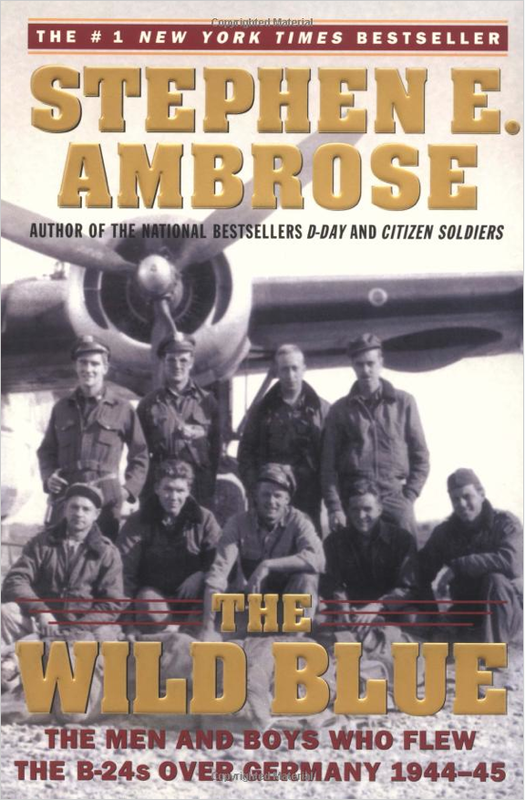 First, to complement my research into my maternal grandfather's participation in WWII, I read one of Steven Ambrose's books, The Wild Blue, about the 455th Bombardment Group of the 15th Air Force who flew B-24 Liberators from Italy on missions to bomb strategic targets in Germany, Austria, Italy, and Romania. I've read and enjoyed books by Ambrose before, and have watched and loved the HBO mini series "Band of Brothers" based on his book. This book devotes the majority of its content to following the experience of George McGovern, future Senator and Democratic Presidential Candidate against Richard Nixon in 1972. McGovern was in his early 20s when he joined the Army Air Force (AAF) and trained to become a heavy bomber pilot. It describes the intense training and selection process the young men, some still teenagers, endured through 1943 before being assigned to a bombardment group and aircrew and before being sent to the European Theater of Operations. 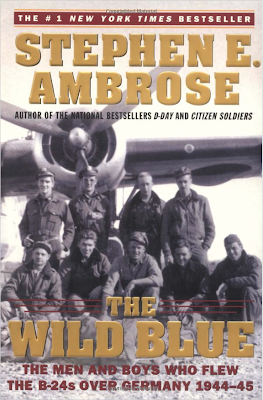 Ambrose definitely has a talent for storytelling, and his research and interviews seemed thorough enough to capture a close portrayal of the experience and events, though veteran airmen from WWII have expressed disappointment in the author's output. I enjoyed the book but found it somewhat difficult to track all of the people, as he jumped from one bombardment group to another, one squadron to another, then returned to McGovern. I learned a lot about what life was like on the airbases around Foggia, Italy in 1944-45, and the book inspired new tracks for my research into my grandfather's own experience as pilot in the 456th Bombardment Group. I was most impressed by the descriptions of the maturity demonstrated by the men of the AAF as they endured countless losses of friends and comrades, as the Air Force suffered a higher rate of death than troops on the ground during the two years they were flying from Italy, due to their tight formations and initially heavy anti-aircraft defenses. 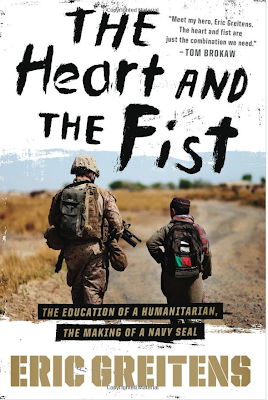 The second book I read was a new book called The Heart and the Fist - The education of a Humanitarian, the making of a Navy SEAL by Eric Greitens, a former Navy SEAL and founder of The Mission Continues, a nonprofit organized to assist veterans in building a life outside of the military through challenges that make use of and build their leadership skills while performing services to the community. I found this book while killing time in the Seattle airport during my record breaking month of travel in April. I didn't purchase it then because I preferred to buy the electronic version when I returned home. 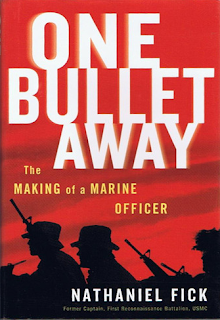 This book is a three part memoir that chronicles Greiten's foundational experiences in college - including amateur boxing, a summer in communist China, and humanitarian aid trips - and his trials in being accepted and working as an elite operative for the Navy's SEAL program. 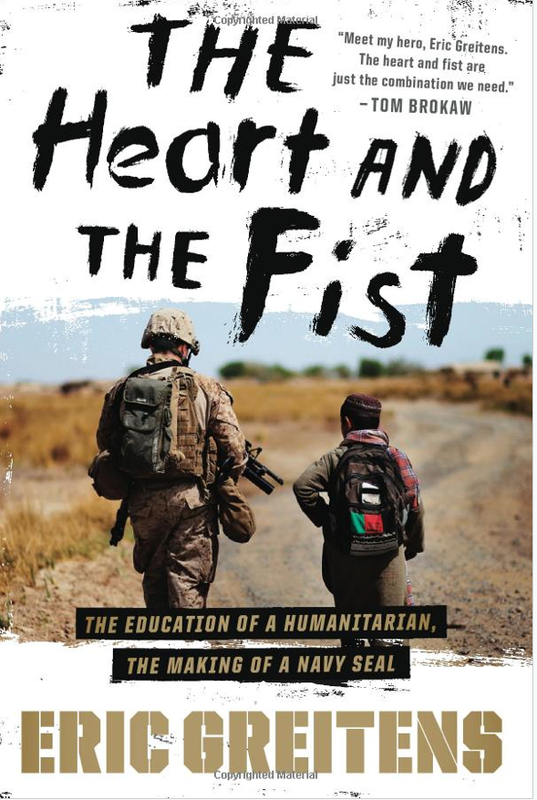 Serving as a SEAL was the time when he was able to finally blend his belief that helping others takes more than words but requires action, which he was now trained to provide. The book was interesting, but often I found myself thinking that Greiten's was trying to fill space, especially in the background stories, rather consolidating his experiences into a meaningful, concise narrative to generate a greater impact. The book read more like an amateur blog than a memoir, with stories stretched out to seemingly meet a page minimum, and I was a little disappointed. Fortunately, while buying The Heart and the Fist, I stumbled upon my next book by clicking on the "customers also bought" section of the iBooks page on my iPad. Two degrees/clicks away, I found The Only Thing Worth Dying For by Eric Blehm. This book compiles countless interviews of the men who were there and their families back home to tell the story of the triumphs of and the tragedy befallen on the men of Operational Detachment Alpha (ODA) 574, a group of eleven Army Green Berets who were the first Special Forces team to enter Southern Afghanistan after September 11th, 2001 to link up with a, then, Pashtun leader, Hamid Karsai, as he sought to gain control from the Taliban. When I was reading the description of the book, I recognized the name of the commander of ODA 574, Captain Jason Amerine, as a friend of my good friend, which made the book even more compelling to me. As a 30-year old Captain in the Army's 5th Special Forces Group, Captain Amerine was selected to take his team to Afghanistan to lead an unconventional war (UW) effort deeper behind enemy lines than any other ODA in country. His small team and a small number of Afghan guerrillas, with the help of coordinated U.S. airpower, achieved a victory against all odds, repelling a counter attack by the Taliban as they attempted to retake Tarin Kowt soon after the townspeople revolted. The team enjoyed several successes throughout the month of November, especially considering the challenges ODA-574 faced in training, leading, and directing a growing group of guerrilla fighters that inspired the phrase "F***ed up like an Afghan convoy." 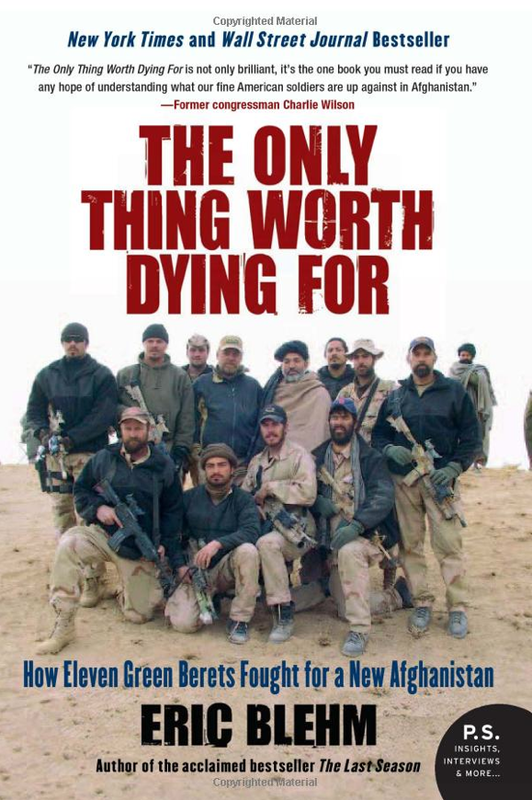 But on the morning of December 5th, 2001 just outside of Kandahar, after winning a firefight the previous day and within 24 hours of a rumored surrender by the Taliban, the members of ODA-574, their CIA companions, a party from the 3rd Battalion, 5th Special Forces headquarters in Uzbekistan, and a growing number of Afghan rebels were victims of a friendly fire incident. Blehm's description of the actions of the surviving men, the walking wounded, especially the composure displayed by Captain Amerine as he ensured communications were sent requesting a medevac, accounted for all of his wounded men, recovered the two men that he lost that day, and performed several other selfless acts that day. I was in tears reading that whole chapter from the explosion of the bomb to the helicopter evacuation. And to think about what silly things I was doing when I was 30-years old, it's hard for me not to feel inadequate in comparison. In contrast to the tears I shed while reading, I felt pride for the Air Force team stationed in Pakistan who risked their lives to fly helicopters from Pakistan 2+ hours during the first daylight mission of the war, and I felt anger for General Mathis and his decision to not authorize the medevac support, even though Camp Rhino was located much closer - a 40-50 minute flight away. 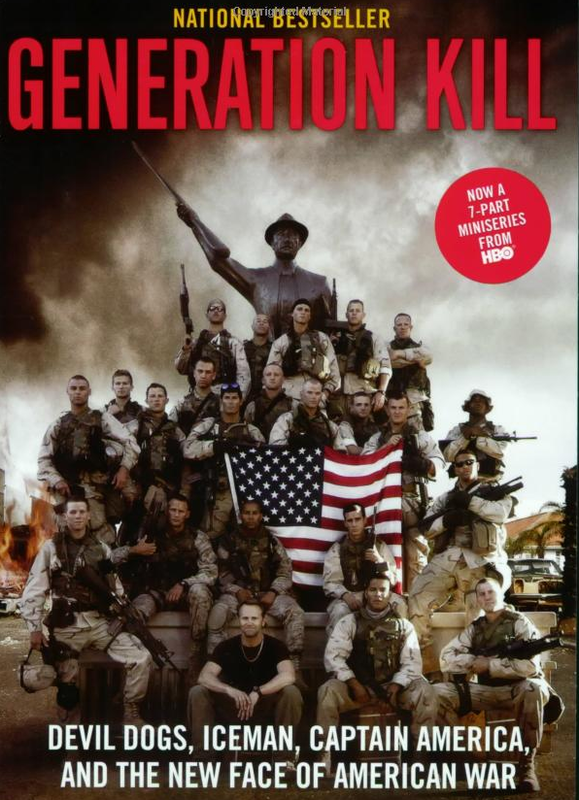 - Generation Kill by Evan Wright, an embedded reporter from Rolling Stone who rode with the Marines' 1st Reconnaissance Battalion during the Iraq invasion in March 2003. His story was later made into a mini-series for HBO. - One Bullet Away: The Making of a Marine Officer by Nathaniel Fick. I actually read this book before I read Generation Kill, not knowing Fick was the officer in command of 2nd Platoon, Bravo Company of the 1st Reconnaissance Battalion during the 2003 Iraq invasion, featured in Generation Kill.